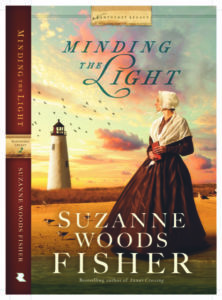 Suzanne Woods Fisher's Minding the Light is the second installment in her very interesting Nantucket Legacy series. If you have read the first book -- Phoebe's Light -- you will enjoy the return visit to Nantucket Island. But if you have missed that book, this one can be easily enjoyed on its own. Suzanne does her usual masterful job of story telling as she mixes real historical characters and events with some of her own imagination. She shares a captivating tale of the challenges and dangers of the sea-faring life of many of the island's inhabitants and their family members left behind. I found the Quaker history to be fascinating, as this is a group that I have known little about. Suzanne throws in some tough topics from centuries past that readers might expect to see more in today's news, such as opium use and cultural and racial concerns. As in the previous story, the "current" timeline (17th century) is intertwined with Great Mary's journal -- the writings of an ancestor who lived during the very earliest days of the island's settlement. I highly recommend Minding the Light as a great historical read written by one of my favorite authors. Thanks to Celebrate Lit for providing me with a copy of this book. I was happy to share my own thoughts in writing this review. World to the historical novel Anna’s Crossing. 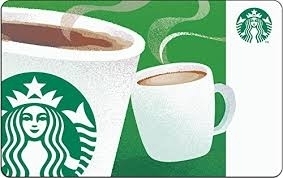 Be sure to leave a comment on one of the blog stops for 9 extra entries into the giveaway. Click link below to enter. 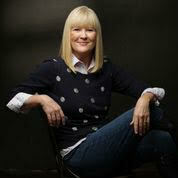 Check out what other readers think about Minding the Light by visiting the blog stops listed below.